Finalist. Swan Hill Regional Art Gallery, VIC. Enclosures (the drawings) was made after visiting monasteries, some inhabited and some uninhabited, on the island of Skopelos in Greece. The drawing, like the monasteries, shows darkness enclosing internal patches of light. The four variations, made in the same session, have been placed together. 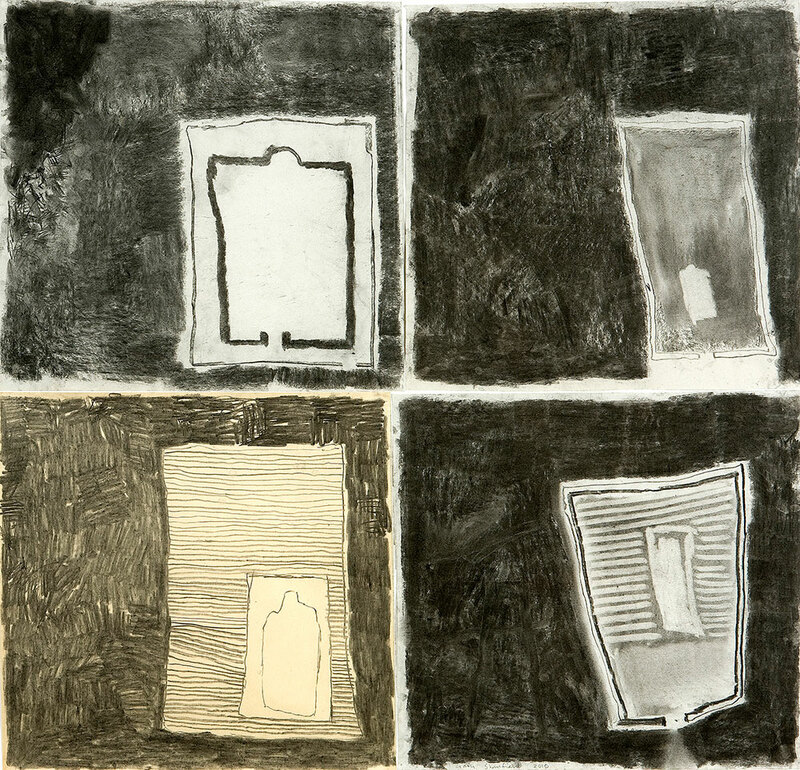 Enclosures (the drawings), charcoal on 4 sheets of paper, 50 x 50 each image, 2010.